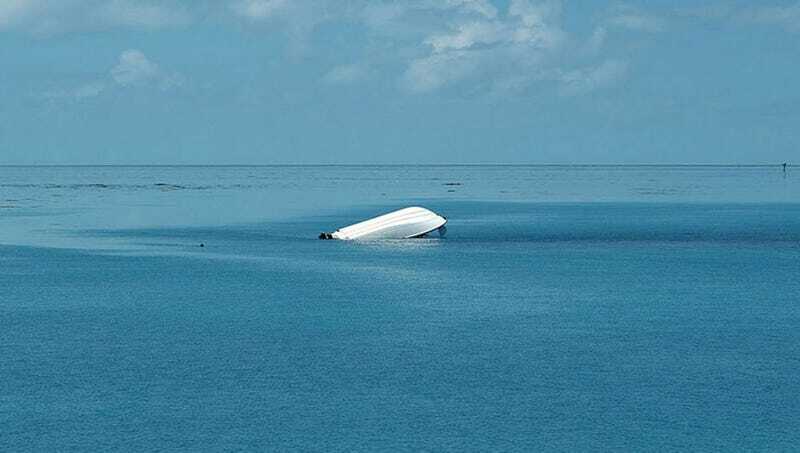 GENEVA—Having analyzed the data from extensive surveys conducted across the globe, the World Health Organization announced Tuesday that a boat currently capsizing in the Atlantic Ocean had earned a higher quality of life rating than the United States. “Based on our most recent global rankings, we’ve concluded that the overturned skiff boasts higher life-satisfaction levels and is on the whole more hospitable than most U.S. cities and towns,” said WHO director-general Tedros Adhanom, noting that the 16-foot vessel, which is at this moment taking on water after tearing open its hull on an outcropping of jagged rock, was also found to be more family friendly and to have better access to healthcare when compared with many American states. “In our surveys, U.S. residents reported greater feelings of unhappiness and pessimism than did those aboard the now almost entirely submerged motorboat, believing they had fewer opportunities available to them. America currently sits in the middle of our quality of life index behind Japan, Canada, Australia, most of Europe, and the fiery shipwreck that appears to be far too damaged to send out a distress call.” At press time, sources confirmed that after its engine fire was extinguished in a torrential downpour, the boat had also surpassed the United States in life expectancy rankings.